I think sometimes we're looking for huge radical changes we can make in order to get healthy or lose weight. We think we can't succeed unless we completely overhaul everything we're doing because it's obviously not working. After years of trial and error and plenty of experience, I am firmly in the camp that says small simple changes add up to the biggest results. They are more sustainable long-term and easier to implement in your already-established schedule. Thank you for subscribing! I'm sending you an email - make sure to confirm your subscription to receive your free guide! One of those small changes that can make a big difference is drinking more water. We all know we're supposed to be drinking a lot of water, but it's one practice that is easier said than done, especially for busy moms. We run around all day chasing babies and toddlers, preparing food for other people, filling sippy cups and packing bags for our kids. It's really easy to get halfway through the day and realize you're feeling parched because you haven't had a moment to fill up your water bottle. When I was pregnant with my third baby, I was getting terrible headaches during my second trimester. These headaches were so bad they made me nauseous, and the only solution was to lay down in a dark, cold room and hopefully fall asleep. Obviously, that's not feasible the majority of the day with 2 little kids underfoot, so I went to my OB hoping for a solution- a referral to a chiropractor, acupuncture, medication, anything! I just wanted to be able to function again. When I finished dramatically describing my symptoms to my doctor he said, "Sounds like you need to drink more water." Wait, what? I was so mad! I was already drinking tons of water! There was no way that was the solution. But I figured it was a free and relatively easy solution to implement, and it couldn't hurt to give it a try. I started actually tracking my water intake, then added one more 30 oz Yeti tumbler of water each day, and the headaches magically disappeared. I realized 2 things: 1. our bodies need water to function properly (duh). 2. I wasn't drinking as much water as I thought. So now that I believe water is the solution to whatever health goal we have, I make a concerted effort to drink between 75 and 100 ounces each day. Granted, I'm currently a nursing mom so I need to be drinking more for milk production, but I plan to keep striving for 3 30 ounce Yeti tumblers of water each day long after I'm done nursing. If you're still not convinced that water is the magical elixir of life, consider all the benefits of staying sufficiently hydrated. It helps you lose weight by boosting metabolism and keeping you full if you drink a glass of water before a meal. It aids digestion and keeps things "running smoothly." It refreshes and energizes us. It helps prevent headaches. It keeps our brain sharp and alert, which I definitely need because I have a serious case of Mom Brain. It's even great for clearing up our skin! Now that you're excited and motivated to drink ALL THE WATER, let's figure out a way to do that. A mom without a plan is doomed to fail. Because we're distracted by a toddler climbing on something dangerous or someone asking us to wipe them. Here are some of the tips that have helped me increase my water consumption as a busy mom, whether I'm working outside the home or inside the home. Does anyone else notice they consume more water when they're using a water bottle with a straw? I know straws can be more of a pain to clean, but it's worth it! While I love my S'Well water bottle, I find that I don't drink as much from it because I have to unscrew the top and it's cumbersome to lift and sip from. I got this water cup for Christmas, and I use it as my "at home" water bottle. I find that I drink a ton more from it, and fill it up multiple times a day. 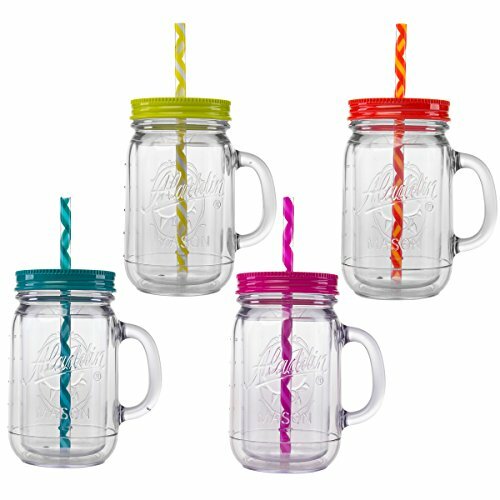 (I also just found this set of lids and straws that will fit on any mason jars - so cool!) Unfortunately, it does not fit in the cupholder in the car so I bring my 30-ounce Yeti tumbler in the car with me and just add a straw - I really like this set. Fill your water bottles the night before. This is a very simple trick but it requires having multiple water bottles. Just fill up four or five water bottles the night before and store them in the fridge. That way when you are running around like a crazy person the next day and you finish one water bottle you just grab another one from the fridge. It doesn’t seem like it would take that much time to fill up a water bottle but when you’re chasing around little kids every second counts! Make life a little bit easier on yourself, Mama! Infuse your water with fruit or herbs. I personally love the taste of plain water but I know there are many people who get bored with it. If you are one of those people you might want to try infusing your water with fruit. Some of my favorite combinations include strawberry and basil, mixed berries, lemon-lime, and kiwi. I think these fruit-infusing water bottles are genius! 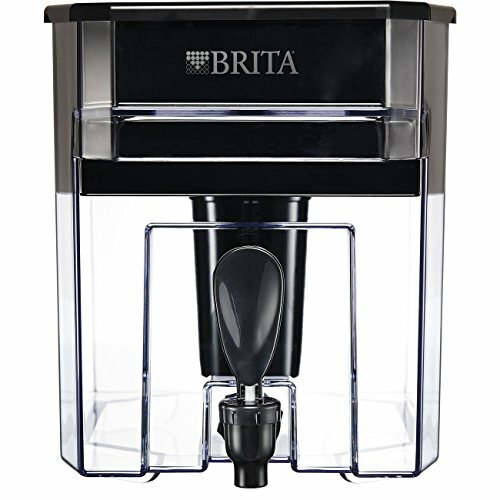 We have this giant Brita filter that we constantly fill up and we keep it on our counter. We also fill up a few gallon jugs and keep them in the refrigerator so we have both room-temperature and cold options. 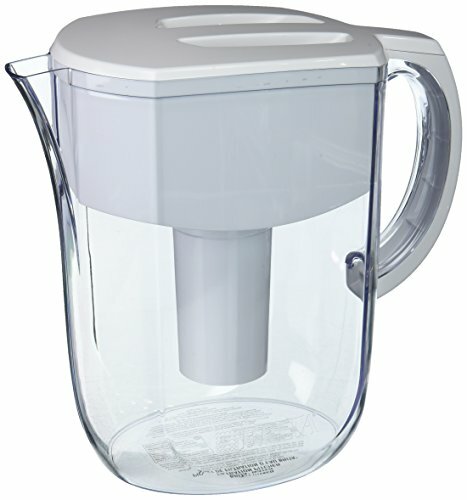 The kids love using the Brita filter on the counter to fill up their own water bottles and cups. I prefer cold water in my shakes and water bottles so I use the gallon jugs in the fridge. When I am pregnant or nursing, I am especially vigilant about how much water I drink. In these cases I designate a gallon jug of water for myself - no one else is allowed to use it - so I can tell exactly how much water I'm drinking throughout the day. I even keep it on the kitchen counter in plain sight so I am reminded of how much water I have left to drink. Another trick could be to set a timer on your phone for every 30 minutes to remind you to drink some water. Have a designated car water bottle. 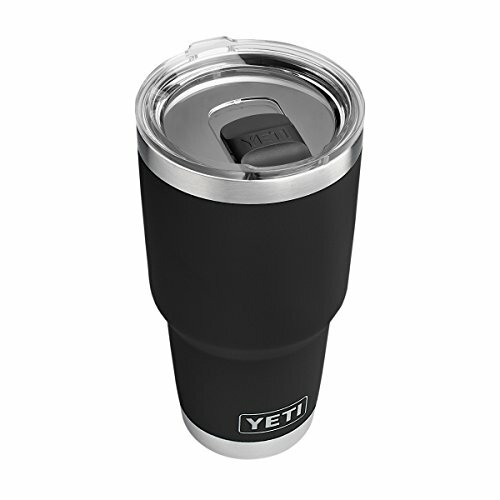 I mentioned up top that I bring my Yeti tumbler in the car with me because it fits nicely in the cupholder and it keeps the water nice and cold which is essential in the Florida heat. If I'm out running errands or dropping off and picking up kids, I will fill that tumbler up, include plenty of ice, and just keep it in the car the entire day. I live in terror of leaving my house without having water with me, so this prevents me from forgetting if I'm in and out of the house all day. I would avoid using a plastic water bottle in a hot car, though. Stainless steel is probably your best bet. It's really easy to assume that if we carry a water bottle with us everywhere, we're probably consuming a lot of it. Probably enough, right? I find that unless I actually keep track, I might not be drinking as much as I think I am. There are so many options for tracking your water intake. If you prefer to do things digitally there are free apps for your phone like Waterlogged or Aquaalert that you can enter each container of water you drink. If you like to write things down, look up bullet journal health trackers and keep track with paper and pen. Keep tally marks on a dry erase board on your fridge. Wear a ponytail on your wrist for every bottle or tumbler you want to drink, then move one band to the other wrist when you finish one bottle. 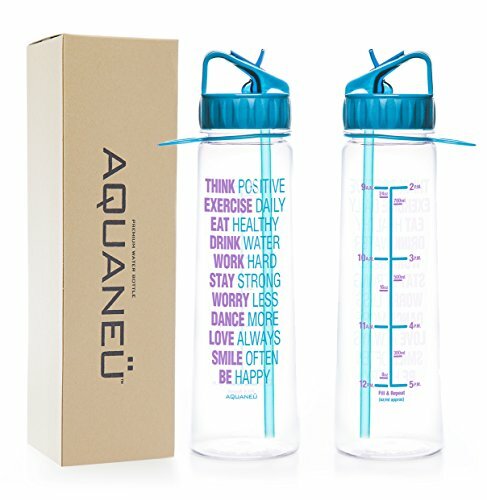 You could also buy one of those water bottles (or draw your own) with tick marks for what time you should finish drinking a certain amount of water. This one is cute and inspirational! This one is made specifically for pregnant women (FUN!) which encourages even more water intake (necessary for pregnant women) AND a week-by-week pregnancy tracker with fun stickers. If we ever have a fourth child, someone please get this for me while I'm preggers. Match every cup of coffee with a cup of water. I love coffee. I could drink coffee all day long. The only thing stopping me is that I feel like Spongebob Squarepants when he goes in Sandy Squirrel's home with air and no water - like I'm shriveling up from dehydration. It can be such a pain to keep filling up a 16-ounce container, especially if you're aiming for 90 ounces or more like me. I found that drinking 3 30-ounce Yeti tumblers is a lot easier than 6 small tumblers. 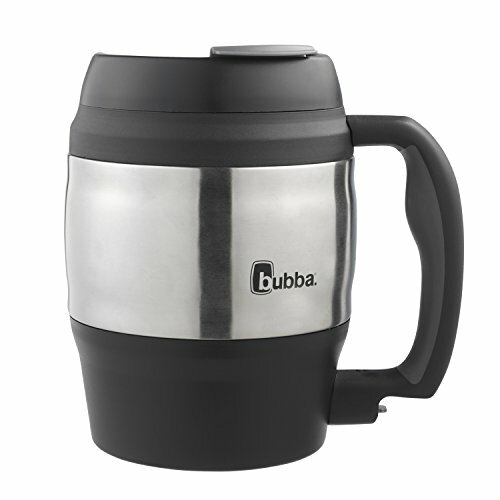 I have a few friends that carry these giant Bubba water kegs with them. I believe they're 72 ounces - you won't have to fill it up at all throughout the day! I have alluded to this tip in some of the points above, but this practice has really transformed my mornings. Drinking water on an empty stomach first thing in the morning not only gets you a jumpstart on your water intake goal before the day even begins, but it also flushes your body of toxins, rehydrates you after the long night, and may even help boost metabolism and help you lose weight. I wrote about it in my post 7 Morning Habits of Fit Moms. Guys. I'm originally from a suburb of Milwaukee, WI that has AMAZING tap water. My standards are high, so I've been severely disappointed by the tap water in other parts of the country. Because of this, I've always had either a pitcher Brita filter (in college) or a gallon-sized filter (now that I have a family). Or you could just buy one of these little water bottles with built-in filters. "Water is the essence of wetness, and wetness is the essence of beauty." What are your biggest struggles with drinking enough water? Any secrets, tips, or tricks that I missed? Share below in the comments! Did you get value out of this post? It would mean so much to me if you would share! Thank you for subscribing! I'm sending you an email right now. 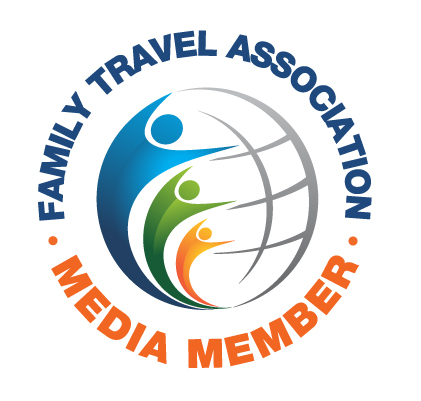 Make sure to confirm your subscription so you can grab your free guide!